Nu Boyana Portugal is recruiting Riggers. Are you ready to join a fast-growing team with new exciting projects to come? Rigging TDs are responsible for producing high-quality rigs and skinning for our CG models. 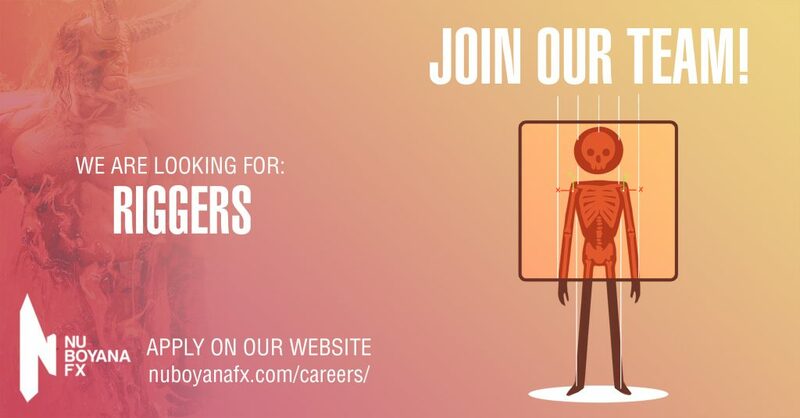 If you have a passion for rigging, are familiar with Maya and are comfortable with Python scripting, then we want to hear from you, whether you’ve just graduated, are looking for new challenges or are used to leading teams of Rigging TDs – all levels are welcome!